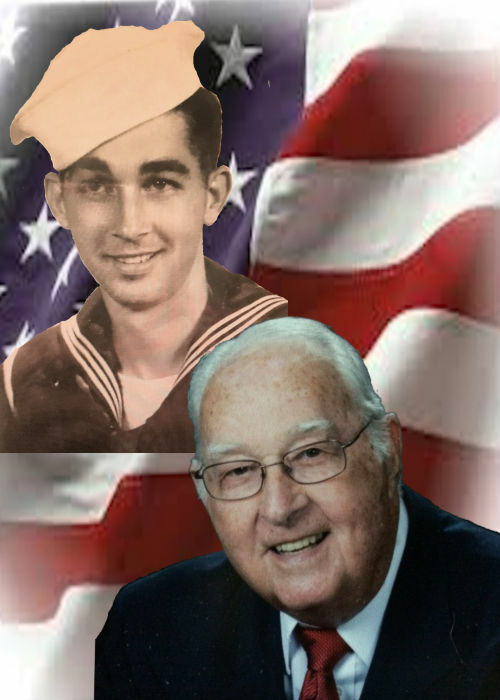 Jack Edward Robinson, 94, died in NHC Lewisburg on January 26, 2019. He was a veteran of World War II. Jack retired from Southern Railroad in 1982. He was a member of First Baptist Church in Lewisburg. He is preceded in death by his parents, Jack and Hettie Robinson; wife, Alice George Robinson; daughter, Sherra Lynn Orman (Charles); wife, Peggy Scrivner Robinson; and brother Charles Robinson. Survivors include wife, Pat McGehee Robinson; daughter, Jackie (Kenny) Barnes; two grandchildren and four great-grandchildren. Visitation will be Monday, January 28, 2019 from 12:00 - 3:00 P.M. with the Funeral Service at 3:00 P.M. in the Bills-McGaugh & Hamilton Funeral Home. Burial will be Thursday, January 31, 2019 at 2:00 P.M. at the Alabama National Cemetery in Montevallo, AL. The family suggests memorials to the Build the Bridge Fund at First Baptist Church, 323 N 2nd Ave, Lewisburg, TN 37091.